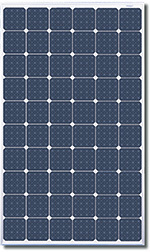 Canadian Solar Inc. is one of the leading solar manufacturers in the world, delivering industry leading high efficiency solar cells, solar modules, solar power systems and off grid solar power application solutions. Canadian Solar is headquartered in Ontario, Canada with a global reach. In the past 12 years, Canadian Solar has been working closely with over 1000 customers in over 70 countries, providing them with solar energy solutions in the magnitude of over 6GW, catering to customers’ special needs, from the small 5W off-grid solar home systems to the award winning 166MW utility scale power plant in Germany. ELPS is Canadian Solar's proprietary metal wrap through technology (MWT), enabling solar cells to collect more light. Through mono-silicon wafer technology, ELPS cell efficiency has reached 21.1%. ELPS modules deliver 6% more electricity than conventional solar modules. 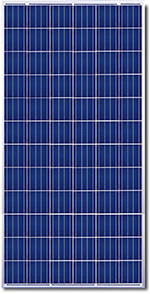 Canadian Solar's Quartech modules introduced innovative four busbar cell technology. Their meticulous design and production techniques ensure a high-yield, long-term performance for every module produced. Our rigorous quality control and in-house testing facilities guarantee Canadian Solar's modules meet the highest quality standards possible.